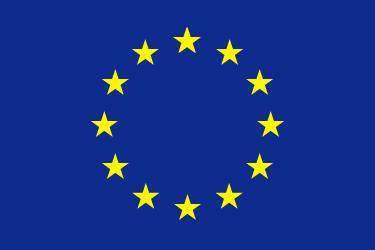 He holds a master in educational sciences and is a Gestalttrainer, -supervisor and -therapist and person-centred therapist with specialisations in Existential and in Group Psychotherapy. He currently is a self-employed Process Facilitator and consultant, staff member of an Emotion Focused Therapy training program and of a Group Psychotherapy specialization. 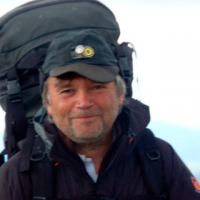 He is one of the co-chairs of the Adventure Therapy International Committee and has been an Outward Bound trainer for more than 30 years, facilitating various target groups. He was the co-founder of Exponent, a European Challenge Course Construction and Training Company. He presented at several international conferences and is the author of a number of articles addressing the use of adventure and nature in supporting psychotherapeutic processes. Luk is still passionate about the ‘vertical dance’, gardening, wild mushroom picking and mountains. Anat is a Jungian psychotherapist specializing in trauma. She holds a Master in Integrative Arts Psychotherapy and a Masters in Performance Arts. She is a Lecturer on Eco-Therapy for ‘The Interdisciplinary Wilderness Therapy Program’ at Hakkibutzim College and ‘the Out-Door Group-Facilitators Program’ at Oranim College in Israel. In the last ten years, she has been working with diverse communities through group process and with individuals in private practice. Anat’s involvement in community work has led her to co-create the ‘Multicultural Leadership Greenhouse Program’ in 2011. She has been providing supervision for the psychosocial team at A.S.A.F (Aid for African survivors of human- trafficking) and students at Arbabanel Medical Center. She is Israel’s member of Adventure Therapy International Committee. Also a Member of “Psychoactive” (mental health professionals for human rights). Former artistic director of the “Dog-Theatre” in London, alongside choreographing some works in Israel. 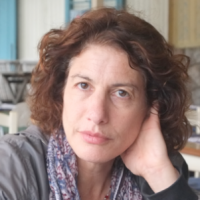 Anat’s work focuses on the therapeutic use of images and metaphors in Eco-Therapy and on raising awareness to the social-cultural-political context of our therapeutic work, topics she addressed at several national and international conferences. 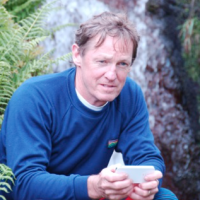 Martin has an extensive history of involvement in adventure education and adventure therapy. For most of the ‘80’s he ran bicultural programs for youth (in NZ), initially with a developmental focus and then for four years he was Director of a national pilot research adventure therapy program. During the 90’s Martin moved to Perth and in 1997 he was the convenor of the first international adventure therapy conference (1IATC) at UWA in Perth. Since that time Martin has continued to deliver workshops on adventure-based learning and group dynamics in a wide range of countries around the world, as well as teaching on the Masters of Psychodynamic Counselling & Psychotherapy course at Edith Cowan University in Perth, Western Australia. He has published many papers on experiential learning and on working with groups. His book “Group action: The dynamics of groups in therapeutic, educational and corporate settings” which is largely based on adventure-based learning, was published in 2002 and is still in print. Martin’s other passions are sculpting in stone, renovating his summer home in France and collecting forest mushrooms. See www.groupinstitute.com for more information.